Home › Miscellaneous › When did you last phone a friend? Back in the ‘old days’ it was simple. If you wanted to speak to a friend, you picked up the phone and dialed their number. On a landline. But these days you have to choose from an overwhelming array of communication methods, including messaging apps and social media platforms. Personally I feel we now have too much choice. As a result, I find myself using different methods to communicate with different friends. Some I know are rarely far from their mobile, so will respond to a text or Facebook message within minutes… often less. Others are usually easiest to reach by email. That’s either because they’re long-standing friends and so it’s become a habit for us. Or because they, like me, spend most of their day sat in front of a computer screen. 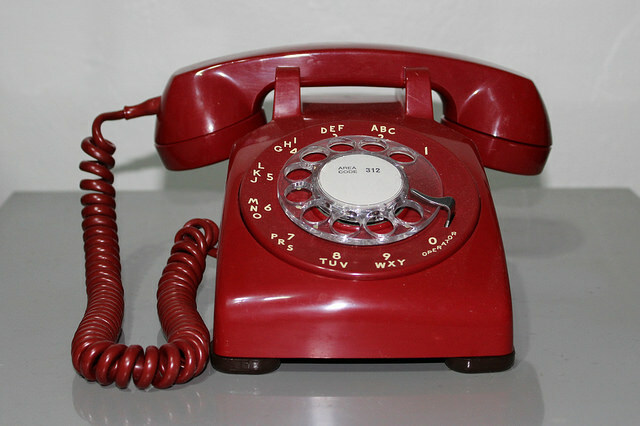 As a teenager, whenever I asked to phone a friend on our old (red) rotary dial telephone to “check some homework”, my dad was always amazed that we could find so much to chat about after seeing each other at school all day! Then came mobile phones, making landlines pretty much redundant – other than to communicate with our parents’ generation who can’t (or don’t want to) get the hang of this ‘new-fangled’ technology. Email is viewed by many as ‘old school’ and best reserved for business rather than personal use. Call me old-fashioned but it’s still my go-to communication method. This is partly because I’m usually at my desk or browsing on my iPad, which means I see incoming emails quite quickly. My phone, on the other hand, is often in a different room to me. So there can be a delay before I spot a new message. Also, as I tend to ramble on a bit, my communiqués can be rather long! I therefore find it much quicker to type on a ‘proper’ keyboard rather than on a phone. A very simple poll I carried out a while back on Twitter revealed that text is the preferred medium for communicating with friends. Admittedly the sample size was very small, but nevertheless it corroborated what I suspected. Sending a text is quick and easy. It’s also ‘free of charge’ for most people these days, as the majority of phone contracts automatically include unlimited texts within the plan. The messaging apps associated with the two most popular social media platforms are great for sending a private message, direct to one person, that none of your friends/followers or members of the public can see. But the same is true with a text. The main downside with these apps is that you both have to be registered on the same platform in the first place. This means I can communicate with some friends via Facebook but not via Twitter. Or vice versa. How quickly they actually see the message then depends on their chosen notification settings. I only signed up to WhatsApp in 2016 when I joined a committee organising a local community event. It was the main method used to communicate with all the team members, including during the actual event. I can see its merits, especially for a large group. But I found it difficult to follow sometimes when there were several different conversations all going on at once in the one main thread. Last year they switched to Slack because it offers extra features such as separate threads, DMs, ability to upload documents etc. This isn’t one I use at all, so I can’t really pass any comments on it other than the fact that it seems to be popular with teenagers and young adults. If I’m just making/confirming arrangements or want to tell/ask a friend something, then I’ll generally do so by email or text. If however I fancy a proper chat, I’ll plump to phone a friend every time… then settle down for at least an hour’s chin-wagging. Which communication methods do you use with your friends. Do you use the same for all of them or pick ‘n mix like me?